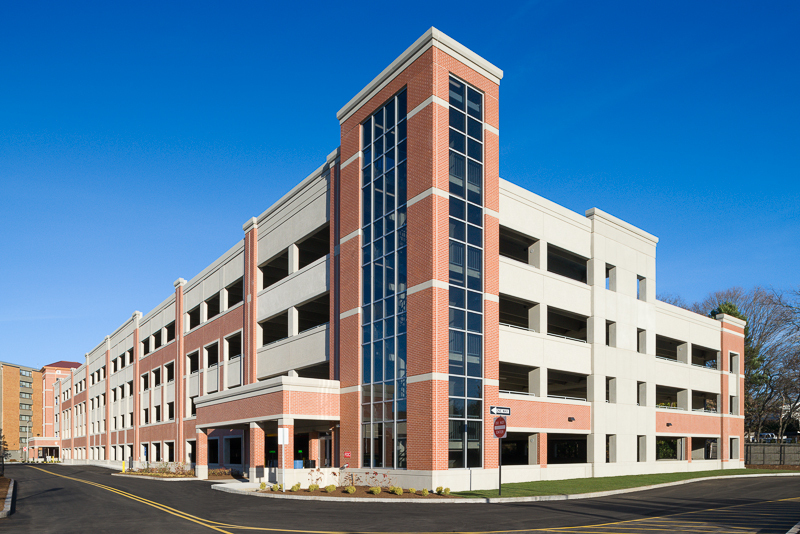 The national consulting firm DESMAN specializes in the planning and design of new and existing parking structures. The company strives to be a leader in functionally efficient, attractive and cost-effective parking solutions. As such, DESMAN has been committed to sustainability in parking from the get-go. In fact, as one of the initial advisors for Parksmart, they helped develop the Parksmart certification standard. Now, DESMAN is putting its industry expertise into practice further by helping to lead clients through the Parksmart certification process. To date, DESMAN has helped four projects achieve certification, including the Salem State University Parking Garage, Forest Home Garage and Hoy Garage at Cornell University and, most recently, the Cal Poly Pomona Parking Structure 2. The company's staff have been specifically trained to lead clients through the certification process as advisors. Parksmart Advisors are trained to lead clients through the certification process by evaluating parking facilities’ sustainable attributes and preparing their certification applications for submission. They are well versed in strategies designed to reduce the energy and environmental footprint of parking facilities. 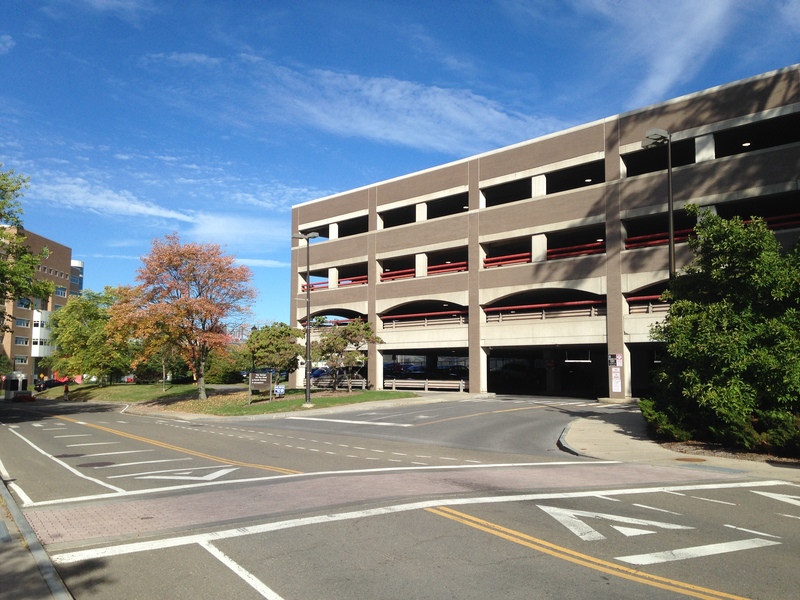 How does Parksmart add value to parking structures? What are the benefits of Parksmart certification? Parksmart can be used as a road map for owners of parking facilities, not only to make their garages more sustainable, but also to add value for the facility’s users. While providing EV charging and tire inflation stations in a garage can reduce the environmental impact of vehicles on the road, these amenities also have the potential to attract more parkers to a garage, increasing the garage’s revenue-generating potential. Modern, energy-efficient lighting systems can not only reduce a garage’s operating costs—a properly-designed lighting system can also make a facility feel safer and more inviting to park in. In addition to the potential benefit of attracting more parkers to a garage, other Parksmart measures encourage owners to install technology that can reduce operating costs and even generate revenue. Ticketless and gateless access and revenue control systems reduce costs associated with ticket stock and equipment repair, while also reducing resource use and vehicle idling. Solar panels and small wind turbines installed on a garage can not only reduce the amount of electricity an owner must purchase to operate their facility, but excess electricity can be sold to generate additional revenue. Aside from the financial benefits, Parksmart offers social benefits as well. Parking garages have the potential to become gathering places for the community, as the location of a farmer’s market or a venue for hosting a community movie night. Integrating a transit hub can provide members of the community who cannot afford a car a valuable public transit alternative. These are just some of the benefits of Parksmart to garage owners seeking to enhance their triple bottom line. When it comes to sustainable garages, what unique challenges does the Parksmart rating system help them overcome? Given the breadth of sustainable technology and practices that can be integrated into parking garage design and operations, Parksmart acts as a consolidated resource for owners when they are evaluating what may and what may not be possible at their facilities. Each of the measures detailed in the Parksmart Certification Standard provide examples of the types of technologies and practices that can be used to make a parking garage more sustainable. For those owners who are not parking experts (and those of us in the industry who are not “experts” on every topic), this is a valuable starting point when thinking about parking and sustainability. What role will parking sustainability experts play in driving the future of sustainable mobility? Sustainability in parking is only one piece of the larger sustainable mobility landscape. However, given the impact that passenger vehicles have on the environment and the fact that our business is focused on the temporary storage of those vehicles, it is important that the parking industry be at the forefront of this movement. Any positive change in the sustainability of parking garages, whether from a design or operational perspective, will contribute directly to a more sustainable world. How has earning the Parksmart Advisor designation impacted your practice? Not only has the Parksmart Advisor designation allowed DESMAN to offer an additional service to our existing clients, it is also a valuable tool for attracting new business. Clients who are looking for a world-class garage designer can now have an expert in both sustainable design and operations in DESMAN. Hoy Field garage at Cornell University. When leading a client through the Parksmart certification process, what are some strategies that you used to reduce the energy and environmental footprint of their parking facility? Because cost is always a factor in the decision-making process of any owner, we typically first look to elements of a garage that can be updated/built at little cost or with a short payback period. Lighting and ventilation systems are typically the largest consumers of electricity in a parking garage, so these are obvious candidates when looking at reducing energy consumption. Updating or replacing these systems is costly, but the energy cost savings typically result in a short payback period for the investment. For new construction, we always try to examine the sources of raw materials along with their cost, in order to determine if equivalent materials can be sourced from closer in to the project site. Interested in learning more? Attend one of our upcoming Parksmart Advisor training opportunities. To earn your Parksmart Advisor designation, take the online, instructor-led class offered by the International Parking Institute in partnership with GBCI. To earn your certificate, candidates must complete the training course and pass an assessment. The course covers the specific management, programmatic, technological and structural elements of certification. Attend the first online training sessions of 2018 on Jan. 9, 11, 16 and 18. Participants must attend all four 1.5-hour classes to become Parksmart Advisors. Seats are limited and are offered on a first-come, first-served basis, so register early to confirm your seat.